2 bedroom cottages with a queen size bed and two twins. Full kitchen (refrigerator, full range & microwave) Stocked with pots, pans, dishes & silverware. Sun deck with dining table, adjacent deck. 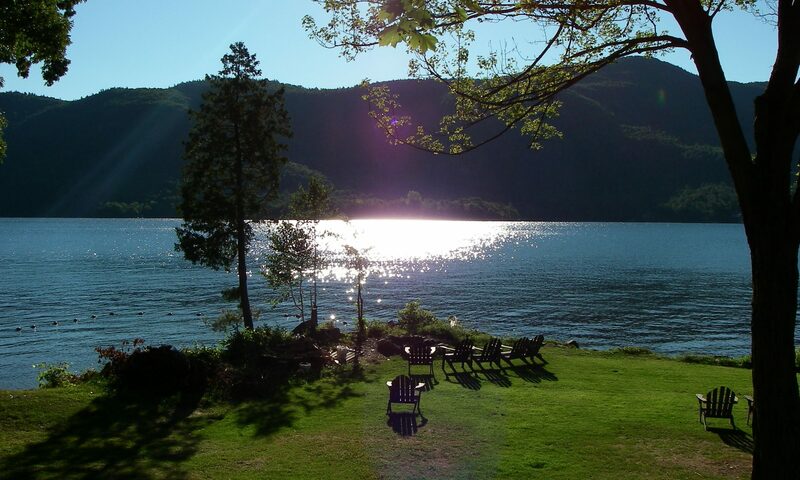 Beautiful unobstructed views of Lake George. Guests provide their own paper goods, sheets, towels etc. Check in time after 2:00pm Saturday, checkout time 10:00am Saturday. Power boat rentals less than 1/4 mile away.